Firestone Rubber Flat Roofs EPDM are designed and therefore the best fit for residential flat roofs. As the membrane can be cut to size on the roofs, there are no seams, making it a great choice. Flat roofing problems tend to occur at the seams or laps. 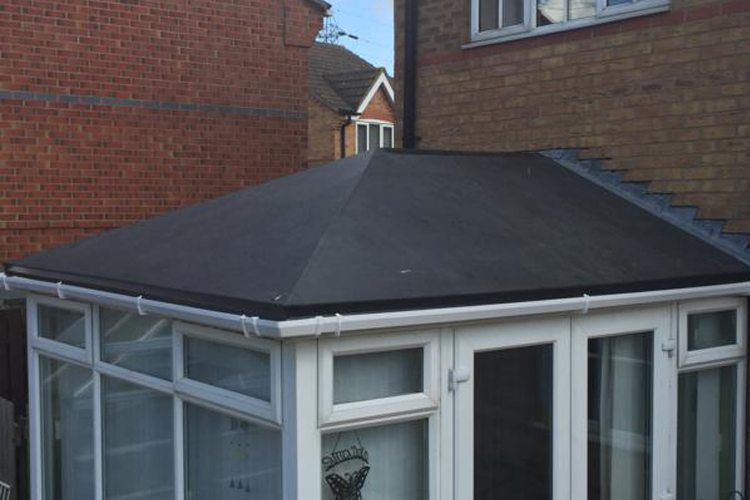 Replace your old roof with a 25 Year Guaranteed Firestone Rubber Flat Roof! Where can EPDM be used? 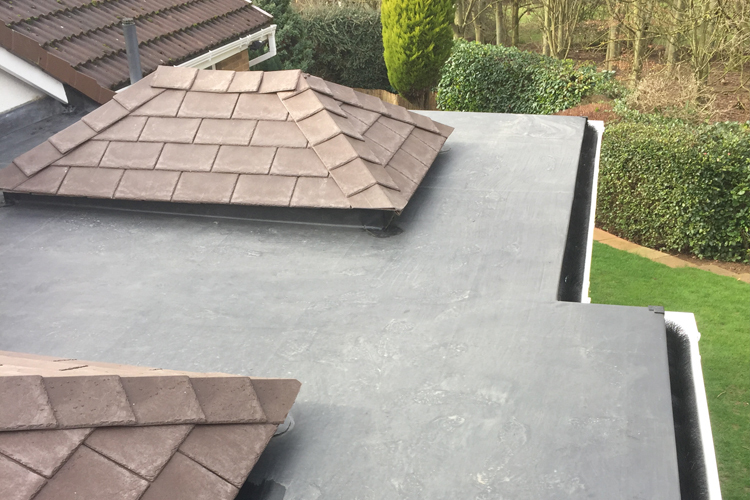 Firestone rubber is a agreat choice for commercial and domestic projects, such as, flat roof extensions, balconies, gutters, garages, flat conservatory roofs, and gardens. We understand that a lot of the information we provide may be hard to understand, from a customers’ point of view, so we’ve outlined some of the main benefits and features of our firestone rubber flat roofs. Undeniable durability – Firestone rubber has a great resistance to UV radiation and light. It can withstand the cold so regardless of whether it is being applied during hot or cold weather, you can stand on the roof membrane immediately. Thus resulting in firestone rubber flat roofs to be completed without the weather getting in the way. Longevity – Firestone rubber tends to have a life expectancy of around 50 years, and we are pleased to say there are many roofs around the UK and the world that are standing testament to this fact. Firestone rubber roofs have proven performance. Seamless – Firestone rubber provides a seamless fit; the membranes can be cut to order without any seaming on site required. Flame Free – Due to its membrane, firestone rubber requires no heat in order to work with it; no flame is required so the process is extremely quick and clean. Maintenance Free – Firestone rubber membranes don’t require much maintenance after they have been installed. You won’t need to worry about your firestone rubber flat roof. Environmentally friendly – The key is in the title, firestone rubber flat roofs are environmentally friendly, providing a great way of recycling. Flexibility – Firestone rubber flat roofs are incredibly flexible, regardless of temperature, therefore it is a great option for most weather conditions all year round. Guarantee – Our Firestone Rubber Flat Roofs come with a 25 year guarantee.